Murray works collaboratively with his clients to bring about the changes they would like to make. He often uses a three part model to facilitate these changes. This includes looking at difficult feelings a person may be struggling with (for example, loss, depression, anxiety, abuse or anger) to help learn why the difficult feelings are there and to potentially deal with or eliminate them permanently, often reducing or eliminating the need for medications. Difficult or unwanted thoughts are dealt with, such as, “I am less important or valuable than others.” Core values, such as beliefs about finances, commitment, parenting and communication that a person or couple are struggling with are dealt with. He also promotes accurate insight into the underlying reasons or root causes for the issues people struggle with. Often people also lack the skills to make the changes they want. For example, they may not know how to confront someone who is treating them poorly without either giving in or acting overly hostile. Other people may know how they should act but cannot follow through when they need to. Murray teaches the new skills to help address these issues and helps people to be able to follow through with the skills. Finally, help is offered for people to use the new skills and behaviours in relationships so that couples can have the better life, connection and communication that they desire. We treat clients throughout the Calgary area. Our Calgary Office is North of Down Town Calgary and borders the North West and North East parts of the city. Please call to book an appointment, or see our Contact page for a map of our location. Murray Molohon (Registered Psychologist, MA, BSW) has been providing direct counselling services since 1994 and was involved with youth, family and crisis interventions from 1988-1994. Studies were conducted through the University of Gonzaga (Washington) and the University of Calgary. He also has a Bachelor of Religious Education degree from Providence. 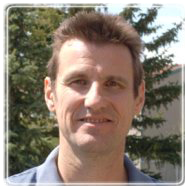 He is currently registered as a Psychologist with the College of Alberta Psychologists and a member of the Psychologists Association of Alberta. Formerly registered as a Social Worker through the Canadian Association of Social Workers.